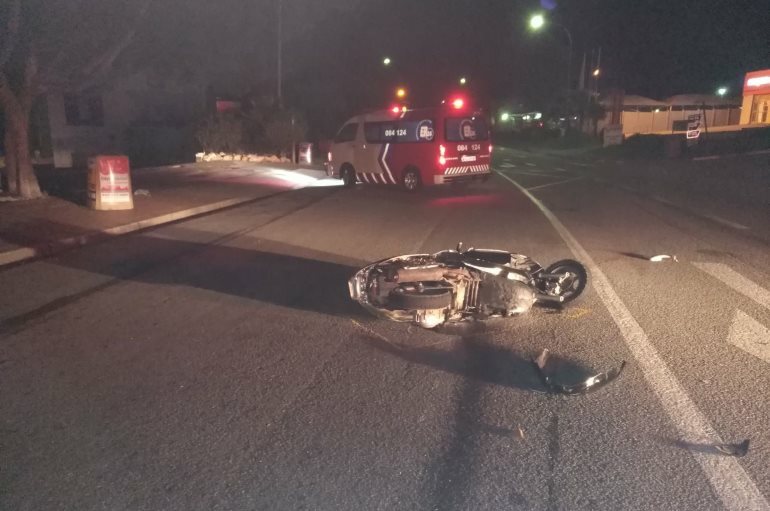 A man, believed to be in his 30s, was killed last night when a truck and scooter collided on the Main Road in Knysna in the Western Cape. ER24 paramedics arrived on the scene to find the scooter lying in the middle of the road. The body of the man was found lying approximately ten metres away. The driver of the truck was not found at the scene.